Even though dentures have been used for many decades, the no-fuss simplicity of dental implants generally makes them a more effective option for the replacement of missing teeth. Because they are built to match your natural teeth as closely as possible, implants are more comfortable, reliable and functional than dentures but people are still having the dental implants vs dentures debate. Let’s take a look at some of the reasons why are dental implants better than dentures. Dental implants are better if you want to preserve your soft tissue and jaw and prevent further deterioration from taking place. Dental implants are crafted from titanium, which offers strength and stability in your jaw. You do need to have enough healthy gum to be considered for implants. Preserving the jaw means preservation of your facial structure too and implants have the upper hand over dentures in this regard. 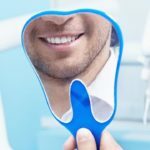 Modern dentistry has progressed in leaps and bounds and today’s technology allows for dental implants to be crafted so that no one can really tell that they aren’t your natural teeth. Your dental practitioner will be able to match the colour and shape of the replacement tooth in line with your natural teeth. This also makes them easier for you to adjust to, because they feel more natural than dentures too. When it comes to eating, you will be able to use the same force when you bite, as for your natural teeth. Depending on the dentures your dental practitioner recommends, they will need to be replaced very few years. If your gum continues to shrink then you will need to have new dentures fitted sooner. If your dentures slip around because they don’t fit properly they can cause irritation and discomfort. If they do not fit properly and allow spaces to open up between the denture and your teeth, then food and bacteria can get trapped inside and infections can develop. When you have dentures it is essential that you visit your dentist even more regularly than you did before. If any problems do occur they can be identified and treated early on. 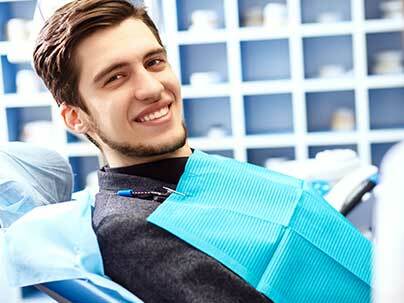 Dental implants are considered permanent because they are meant to stay in your mouth for a number of decades. Dentures can provide a temporary solution to the appearance of the missing tooth but they can’t really compensate for the practical loss of the tooth. The fact that dentures are not anchored into position means that they can move around and this can make you feel uncomfortable if you are talking socially or eating with other people. Dentures require a high level of care than dentures. They need to be extremely well maintained to prevent the development of infection. They also need to be removed in order to be cleaned and require the use of special adhesives to keep them in place. When you have well fitted dental implants there are no restrictions on the types or hardness of foods you can eat. 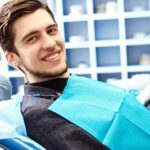 Dental implants vs dentures – what’s best for you? Some people are just not eligible for implants because they do not meet the criteria for a successful implant procedure. If you are someone who suffers from chronic disease such as diabetes, haemophilia or immune deficiencies your dental practitioner may recommend dentures instead. People who are heavy smokers or heavy users of alcohol and other substances may not follow their dentist’s recommendations and practice good dental hygiene. Some people have very few remaining natural teeth or very little healthy gum to work with and dental implants are just not viable. If you are still deliberating between dental implants vs dentures and need to speak to a friendly professional please call our practice for a convenient appointment.